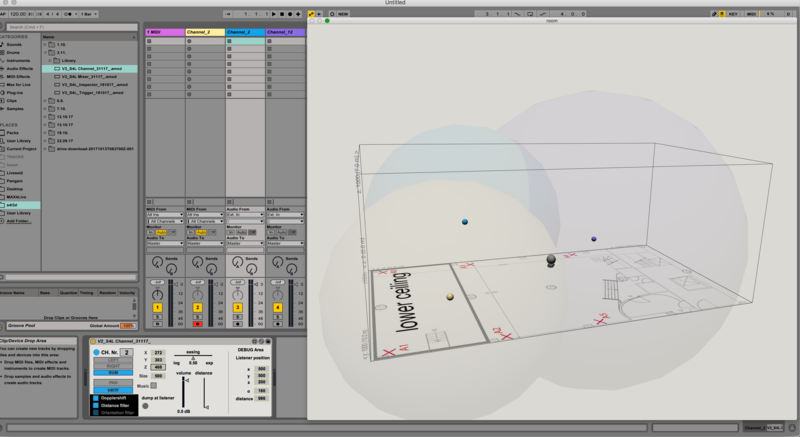 SPASM 4 Live is a tool for creating a spatial audio composition using Max for Live as the primary user interface. All calculations are performed in the background so the composer can focus on the composition instead of on programming. This version is a next iteration on the SPASM project that started in 2008. In this version the primary user interface for composers is Max for Live, making it possible to employ extensive audio processing capabilities in the familiar Ableton Live environment. A new version with a 3D Map and Full 3D HRTF support is currently in development. If you are interested in Beta testing, contact me please! Manual SPASM 4 Live 0.1 (pdf). The video below has detailed step-by-step instructions to get started with SPASM 4 Live.